“Franklin D. Roosevelt: Rendezvous with Destiny” is Frank Freidel’s 1990 single-volume biography of FDR. One of the first major biographers of FDR, Freidel wrote the first four (of a projected six) volumes on Roosevelt’s life between 1952 and 1973 but never completed the series. Freidel was a history professor at Harvard University between 1955 and 1981. 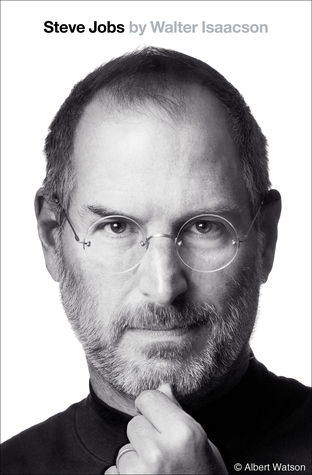 He died in 1993 at the age of 76. Although somewhat lengthy with 607 pages of text, Freidel’s book is the shortest of five single-volume biographies of FDR I’m reading. Nonetheless it proves comprehensive, detailed and thoroughly researched. 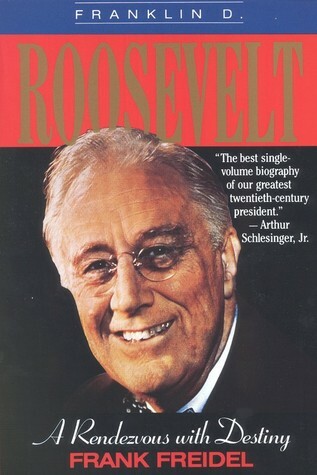 But despite its reputation for being one of the best standard biographies of FDR, its flaws are numerous and glaring. Immediately clear is that Freidel, having previously detailed FDR’s pre– presidency in his abandoned series, was eager to get to Roosevelt’s years in the White House. As a result, the first five decades of FDR’s life account for fewer than 80 pages here. And while Freidel provides a solid synopsis of these years, far too much of consequence is glossed over or ignored entirely for this to prove an adequate introduction to Roosevelt. More importantly, Freidel’s focus is almost exclusively on FDR the “public” man; the reader is seldom exposed to what made Roosevelt himself so fallible and interesting. But this lack of personal insight does not affect just Freidel’s primary subject. None of the major characters in FDR’s life (or his relationships with them) are closely covered or explored – not even Eleanor Roosevelt or Winston Churchill are exceptions to this rule. In addition, the book’s pace is uneven and, lacking a narrative quality, is rarely engaging. It reads far more like a series of history lectures than the vibrant biography of an acclaimed president whose impact on his country was undeniably dramatic. Finally, much to my disappointment Freidel provides no thesis, no overarching themes or messages and almost no judgment of Roosevelt’s actions as president. His political legacy is entirely unexamined and while Freidel does an excellent job detailing what happened during the FDR presidency he rarely explores why. For the more academically-oriented reader, Freidel’s biography may prove a treasure-trove of detail. This book is packed with information and provides a detailed (if not always captivating) view of FDR’s presidency. Freidel clearly possesses an exceptional understanding of the era and has structured his book in a methodical and well-organized way. Readers already familiar with FDR’s life will find the relatively brief discussion of his pre-presidency more than adequate; it distills a complicated period of personal and political maturation (and evolution) into relatively few pages. With its emphasis squarely on FDR’s presidency, the best chapters of the book are probably those covering Roosevelt’s years as a wartime president – the Tehran and Yalta conferences, in particular. Overall, Frank Freidel’s “Franklin D. Roosevelt: Rendezvous with Destiny” serves well as a supplemental text for someone already familiar with FDR – or who is particularly focused on his presidency. But for a reader seeking a “go to” biography of FDR which fully explores both the public and the private man and examines his actions and his legacy it leaves much to be desired. have a question about the Frank Friedel biography.for a single biography is it more for the Roosevelt expert or is it more of a starter book for the Roosevelt beginner like me?Are both Freidel’s and Edward Smith’s considered a starter book? I recall finding Freidel’s book sub-optimal as an introductory / starter biography and would strongly prefer Jean Edward Smith’s for that purpose.